Power. Stealth. Reliability. 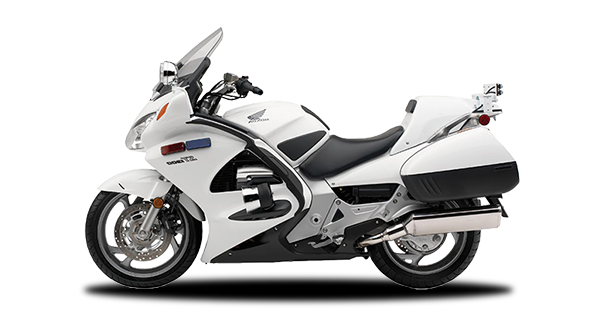 With a lightweight 1261cc V4 engine for an exceptionally quiet ride, and the Honda name behind it, the ST1300PA is everything a police motorcycle should be. Honda’s Linked Braking System with ABS ensures safe deceleration, while PGM-FI produces smooth linear throttle response. Both the ST1300 and GL1800 are all-weather capable, and include moterized adjustable windscreens. The standard Whelen lights and sirens package offers excellent visibility night and day, and in inclement weather. Its speed, comfort, and reliability make it a great vehicle for law enforcement. Use the Defender Supply Vehicle Configurator to up-fit your Honda Defender Motorcycle..